It goes without saying that the baking and pastry industries have rapidly evolved within the last decade or so. To keep up with the diversity of requests from their clients, bakeries, coffee and pastry shops had to become much more innovative and competitive, from the quality of products they are selling to satisfying their clientele, all the while maintaining a healthy production. That’s where our complimentary ingredients come into play. Indeed, some like it hot, others cold, some like it sweet, others are more on the savoury side. Thanks to the diversity and versatility our ingredients offer, people of the industry are finding it easier to tend to all those various needs and demands. 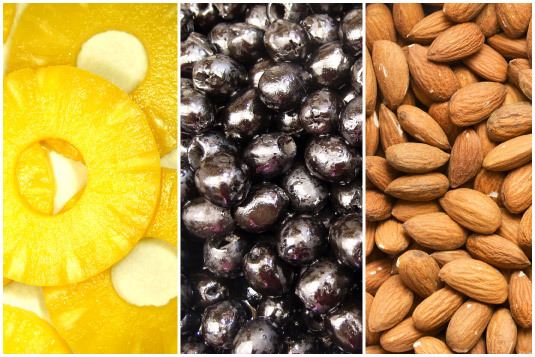 From breakfast, brunch to afternoon snack, our quality ingredients will make for excellent adaptability in your bakery. Some of our specialities comprise of black pitted olives, oregano seeds and tomato base for pizzas or as some would call, the “pizza rescue kit”. Of course, those ingredients can very well be used separately to make exquisite breads or savoury snacks. We got it all ! 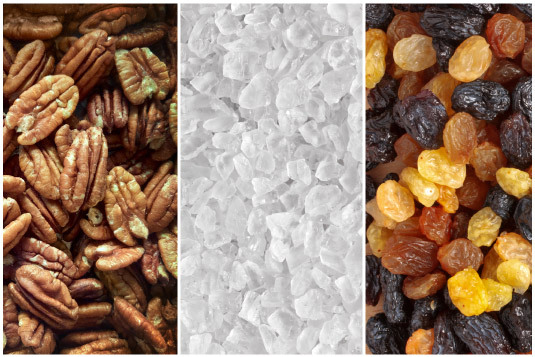 Not only do we bring it back to basics with our delicious range of sliced fruits and flavours and dyes to suit all your colourful delicacies but we proudly offer a great selection of nuts such as powdered coconut, almond and pecan nuts suitable for all of your nutty creations. Those retro staples allow you to reinvent the classics and give your customers decadence and comfort to soothe their cravings. With our high quality complementary ingredients, we focus on making these indulgences “worth it” by making sure your desserts are less time consuming while tasting fantastic. That being said, with those treats adding variety, versatility and creativity, you have all the ingredients to stay on top of your game. Being mindful and creative seems to be the norm for a successful bakery or pastry shop. Selling good quality products with high-end complementary ingredients can make your business even more successful by diversifying your offerings and setting yourself apart from the competition. By focusing on what you know and do best, you can spend more time being creative and focusing on the special needs of your consumers. Sign up for our newsletter to receive news, special offers and ideas for your business. Your business deserves the best quality equipment. Fornax Co Ltd, our sister company, is specialised in the distribution of professional bakery and pastry equipment since 1983.